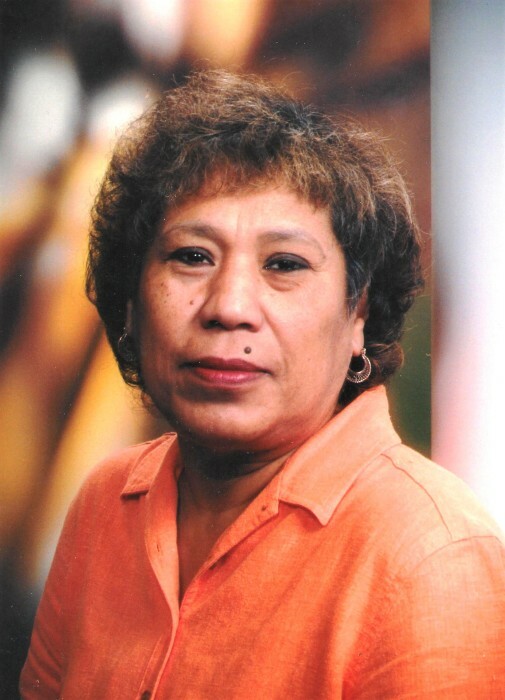 BEEVILLE – Mrs. Sylvia O. Ramon, 65, of Beeville, died on Jan. 17, 2019. She was born on June 28, 1953 in Berclair, Tx to Mariano and Estefana (Gonzales) Orosco. She was a homemaker. She is preceded in death by her parents; husband, Isidro Ramon Jr. and five brothers, Ruben, Ken, Patricio, Mariano and Alfredo Orosco. She is survived by her companion, Juan T. Cantu, Jr. of Beeville; one daughter, Rachelle (Jeremy Posada) Ramon of Beeville; three sons, Randy (Rosie) Ramon, Sr., Roland Lee (Christina) Ramon, Sr. and Rey Isidro Ramon all of Beeville, Tx; three sisters, Elena (Louis) Lopez of Refugio, Tx, Ramona (Larry) Beers of Kansas and Simona (Oscar) Garcia of Beeville, Tx. She is also survived by nine grandchildren. Visitation will be held from 3-9pm on Monday, Jan. 21, at Oak Park Memorial Funeral Chapel. A rosary will be recited at 7pm. The body of Mrs. Ramon will lie in state at 9am on Tuesday, Jan. 22, at St. James Catholic Church. Funeral mass will be celebrated at 10am with Fr. Lukose Thirunelliparambil officiating. Interment will follow at Beeville Memorial Park. Serving as pallbearers are Jeremy, Randy, Roland and Rey Ramon, Gabriel Acevedo, and Jessie Castillo. Honorary pallbearers are Manuel Lopez, Jr., Bobby Salinas, Marcus Arredondo and all the nieces and nephews.